"Contacting Assessment Services was the best decision I made. Jeff always answered my calls and kept things simple and straightforward." Jeff Gruis is the Coordinator of Monitored Programs and has been with Assessment Services since 2004. He has a bachelor’s degree in Sociology from Iowa State and has worked in the youth services and corrections field since 1994. 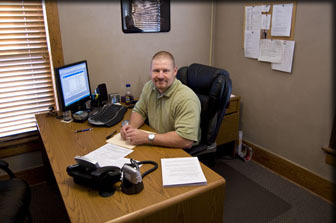 Jeff is adept at balancing client needs and court requirements. In his spare time he roots for the Oakland Raiders and Chiefs opponents.